For a long time we carried *01883* as a "hybrid" Tipo3, thinking that someone had grafted a Primavera greenhouse onto a regular Tipo3. We were mistaken. Does your Super Sprint/TI/TI Super have its original brake scoops? Many don't. Here's what they look like on *01839* (Boano) and others. Here's a quick visual survey of the square-format radios that are appropriate for many early 1900s. I think you'll find it interesting! I have a few photos of Touring's Series I production line from around the internet and arranged them in what seems like reasonable order. No guarantee of accuracy! Those cute little crossed-flags badges on the trunklids/bootlids of Pinin Farina-bodied 1900s, both cabriolets and coupes, are derived from naval signaling flags. When they first see a Tipo4, many folks, even Alfisti, mistake it for a Giulietta Sprint. Here's a quick-and-easy way to tell them apart in photos, etc. It's been said that the Volvo P-1800 might have been influenced by the Savonuzzi-styled 1900 Ghias. Here's a photo comparison of the two cars. Draw your own conclusion. These two versions of the Series I Touring Sprint coupe can be difficult to tell apart. This short feature highlights some noticeable differences. This new Feature repeats the "Last of the Classic Alfas" story with the addition of a discussion of coachbuilt examples. Of the reported 100 or so classic Pinin Farina 3-window coupes produced on the "corto" chassis, thirty-four cars survive and are identified. This should make a comparison easier. This is a brief exploration of the relationship between the last great 6C coupe design, the famous "Villa d'Este", and the earliest 1900 Sprint design. Here's a brief exploration of similar-looking cars done by Carrozzeria Ghia and others. Similarities and differences are easier to see when cars are compared side-by-side. We have a list of 29 known surviving original 1900 Zagatos. We are lacking current photos for three of them. If we have missed any original Zagatos in our list, please tell us about it...and be prepared to prove authenticity! There have been a lot of 1900-based competition-style cars on the internet. In 2012, I rounded up all I could find so you could compare them. Not familiar with Ventura? This mini-feature will explain everything. Hint: Ventura built the full-monocoque, Touring-style bodies from scratch. William John Hearne has created a period-correct Alfa 1900 Monoposto called the "Satta Special". Strictly for his pleasure & the challenge of it all! 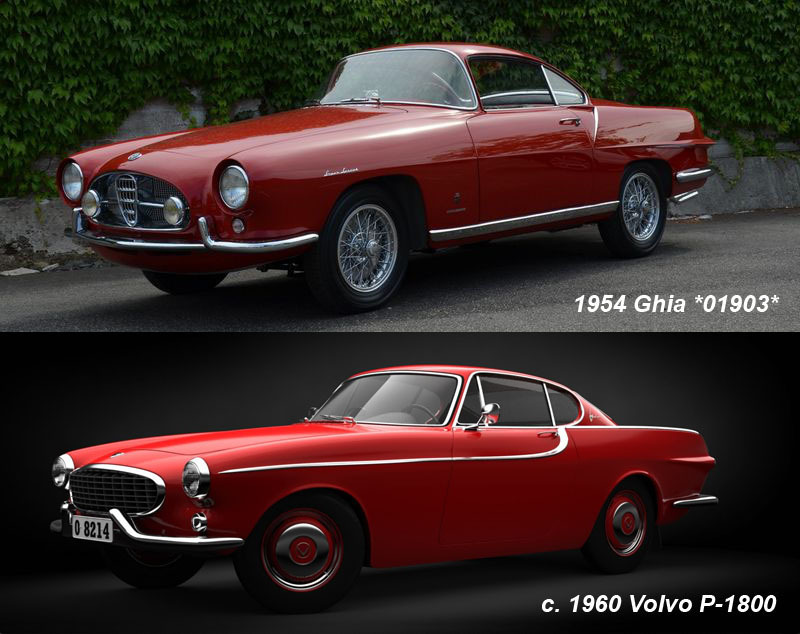 Check out this comparison of the 10 surviving Alfa 1900 Savonuzzi Ghias, making it easier to compare each car's external similarities and differences. On his 2010 visit to Mulhouse, France, the late Renan Uflacker had an opportunity to examine this unique Alfa and explore its history. Some people ask if there is a special reason why Italian racing cars are always red. The late Renan Uflacker had the answer! The late Renan Uflacker explored how the C52 Disco Volante has influenced sports and racing car design for many decades. Controversial perhaps, but definitely food for thought! A French website has an extensive pictorial outlining the steps it took to retrim a 1900CSS interior. This is my take on the French-language article. Here's an inside look at the structure of Touring's 'Superleggera' coachbuilding method on a Tipo 3 and a Tipo 4. The B.A.T. coupes, of which only three were built between 1953 and 1955, are spectacular vehicles which never fail to draw crowds wherever they appear.